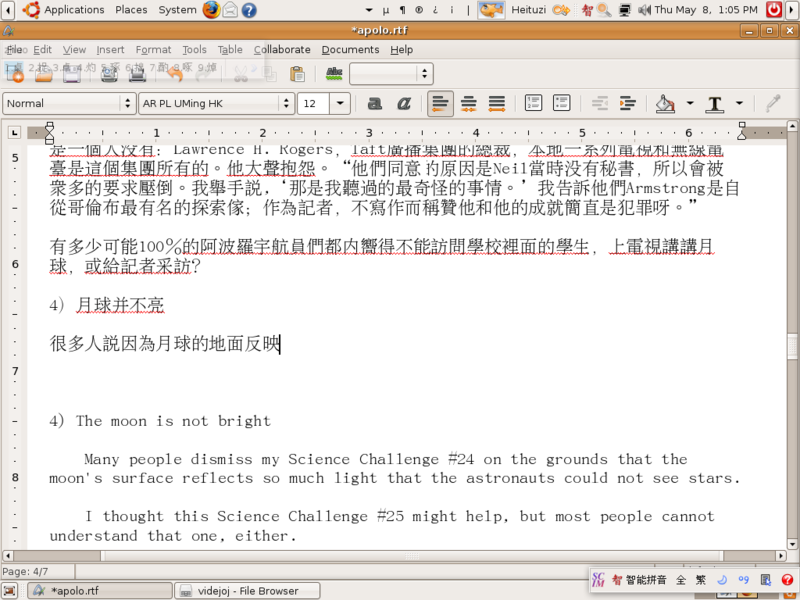 In SCIM Smart Pinyin complex character mode, common characters and words are missing from the dictionary/menu. This bug alone makes complex mode useless, as needed character is totally missing from the menu and mode needs to be switched to find character. "著“or"着“ are totally gone. Common words containing those characters are impossible to make. Common words like "裡面” "麵包“ ”捨得“ etc. give the simplified words or don't come up with the word entirely. Is there a way that I can work with the developer to fix these issues? This input method was developed primarily for Simplified Chinese, therefor the filter for Traditional Chinese didn't receive much care. Please report this bug to upstream (http://www.scim-im.org), as this is not a packaging error.